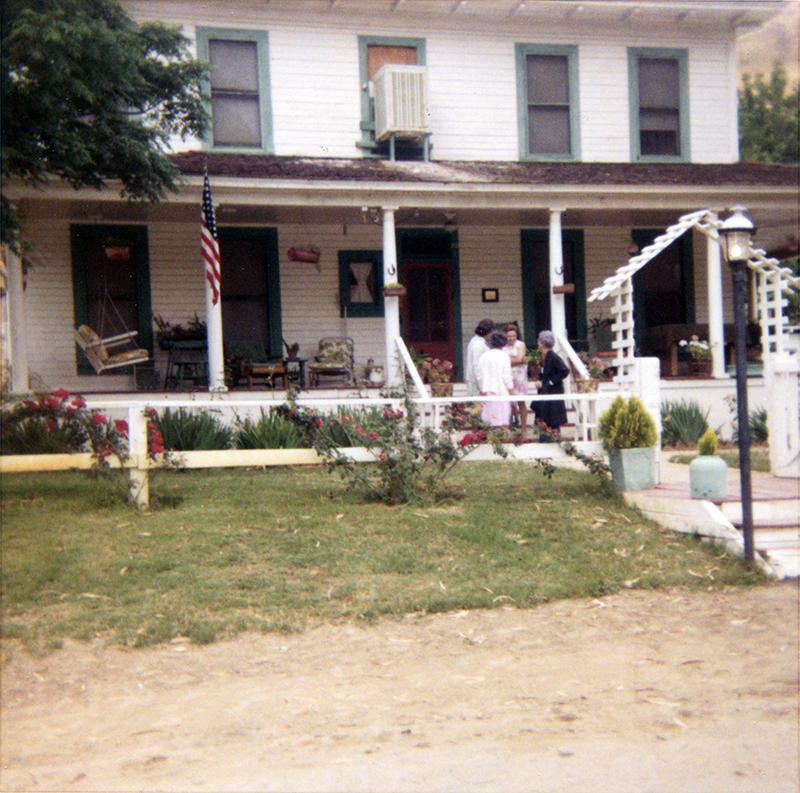 SCVHistory.com | Pico Canyon | Newhall Woman's Club Visits Mentryville House, Johnson Park, 6-9-1971. 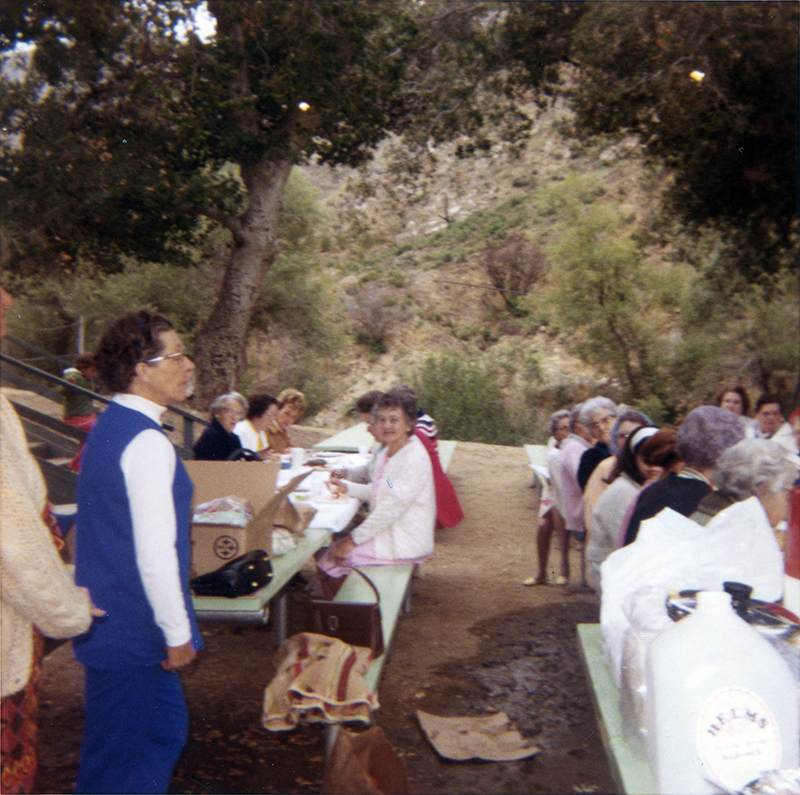 June 9, 1971 — Exactly four months after the San Fernando-Sylmar earthquake, the Newhall Woman's Club visits Mentryville in Pico Canyon. 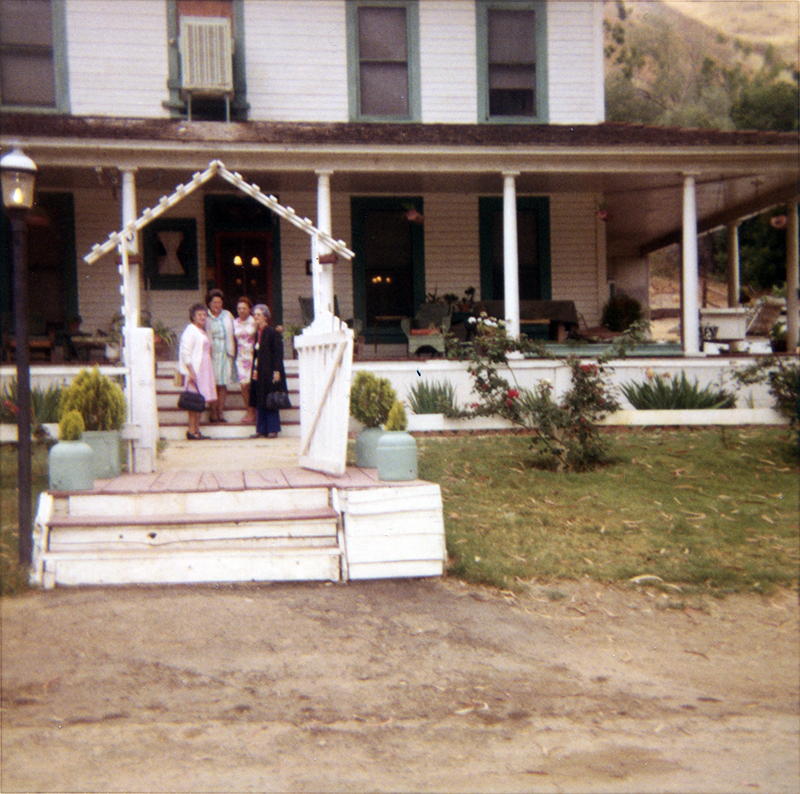 The 1971 quake didn't have nearly the devastating effect on the historic oil town that the 1994 Northridge quake had — but it did displace the Woman's Club, which had to meet in Newhall Park. 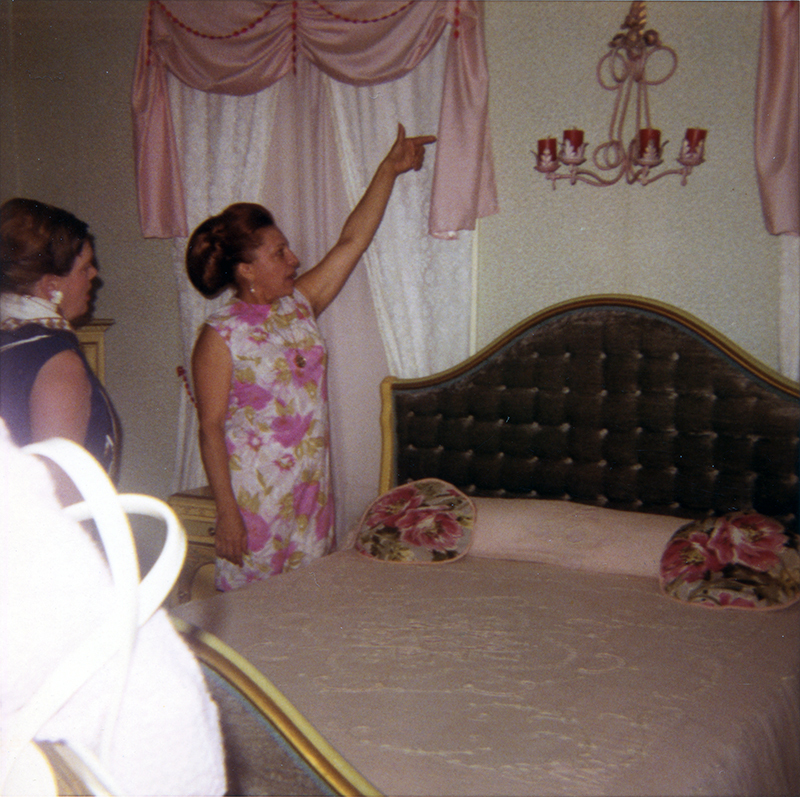 Here, Mentryville resident Carol Lagasse (the redhead in the pink and white flowered dress) gives a tour of her house — the 13-room Pico Cottage, aka "Big House," built in the 1890s as a home for oil field superintendent Alex Mentry. 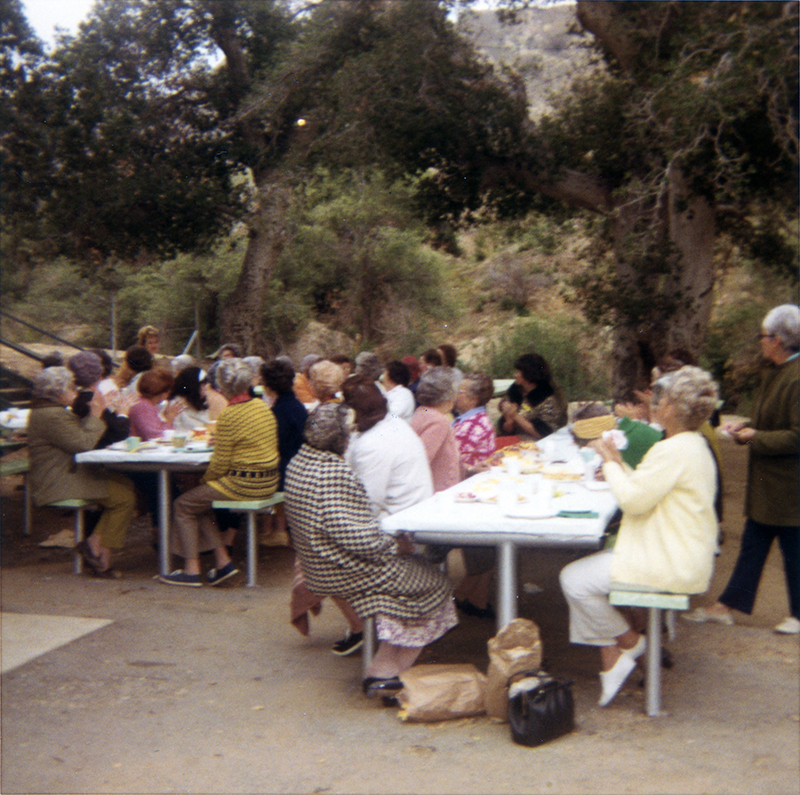 In addition to the tour, the group has a picnic lunch at the Johnson Park picnic grounds, located 0.7 miles up the canyon from the little town. 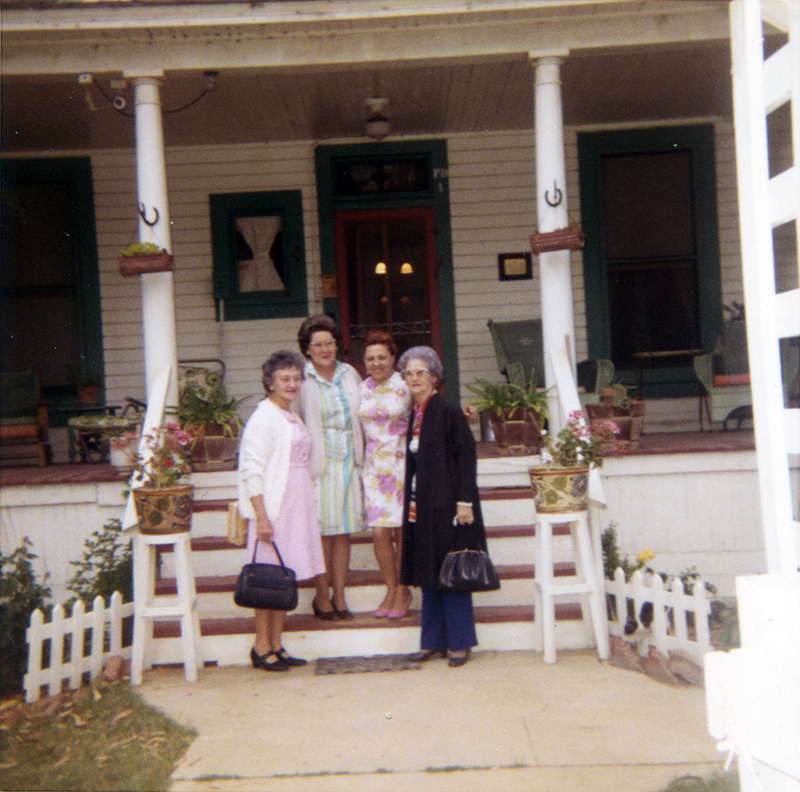 Cover photo (GA7101a), left to right: ?, Dorothy Larinan, Carol Lagasse, Eula "Grandma" Finley. At Johnson Park, Betty Pember is wearing a green sweater and a yellow scarf in her hair. Photos courtesy of Gwen Booth Gallion (Hart High Class of 1949) whose mother, Mary Booth, was the recording secretary for the Women's Club at the time. 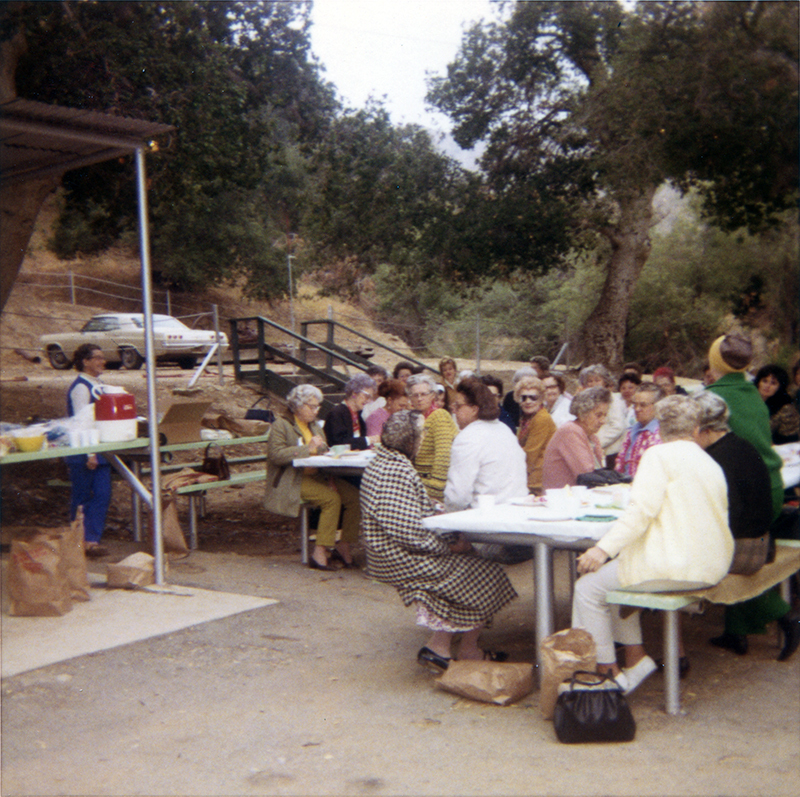 The Newhall Woman's Club is back on schedule with twice monthly meetings. 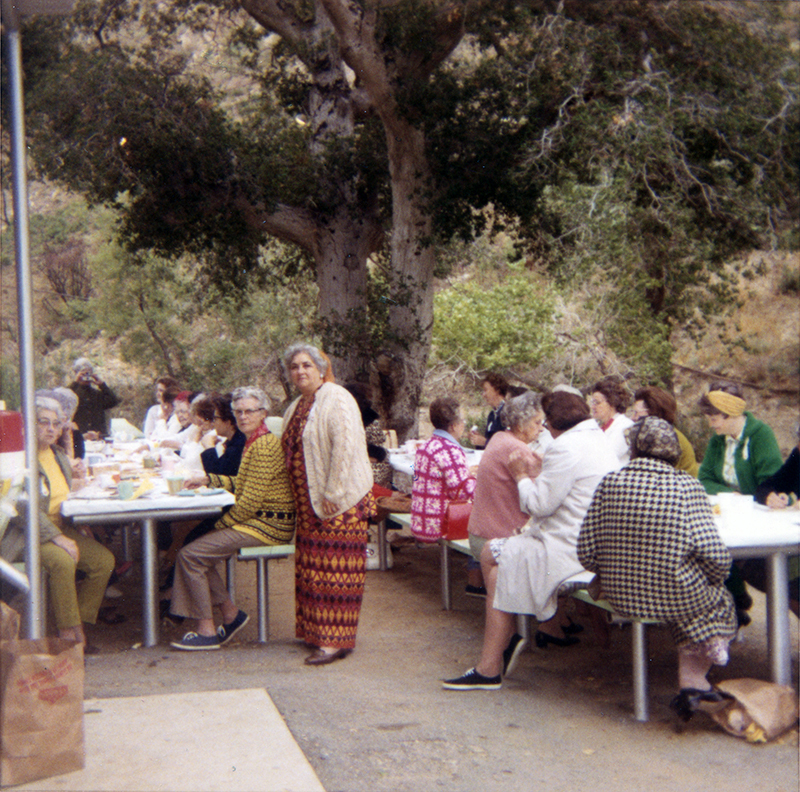 The quake destroyed their clubhouse, so the ladies moved to H.M. Newhall Memorial Park. 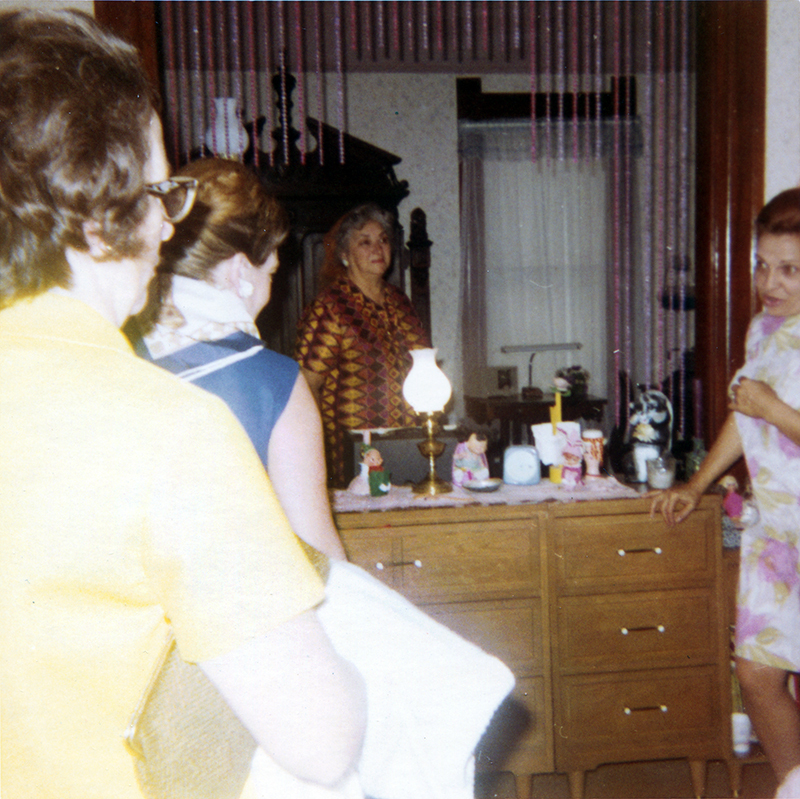 They plan to meet there the second and fourth Wednesday of each month at 1 p.m.
Mrs. Neva Malaby, outgoing president, [turned] her gavel over to Mrs. Ralph Wyatt, 1971-72 chief officer. Mrs. Wyatt, a past president of the Little Santa Clara Valley Council PTA, has been active in the club since 1965. She has chosen as her theme for the year, "Balance Federation through the Golden Rule." Serving on her team are Mmes. John Entriken, second vice president; Walter Booth, recording secretary; Joseph Tutini, corresponding secretary; Arthur Clark, treasurer; Thomas W. McBeath, auditor; Oscar Russell, parliamentarian. Directors at large are Mmes. Harry Kee, M.E. Britton, George Ray and Alex Romero. Mrs. Karran E. Wright, Valencia, Sierra Cahuenga District, president, installed the new officers at a luncheon meeting in Newhall Memorial Park clubhouse. Mrs. F.L. Fleming and Mrs. V.L. Ekeberg were hostesses for the day. Table decorations in gold and white carried out the theme and added color to the impressive ceremonies. 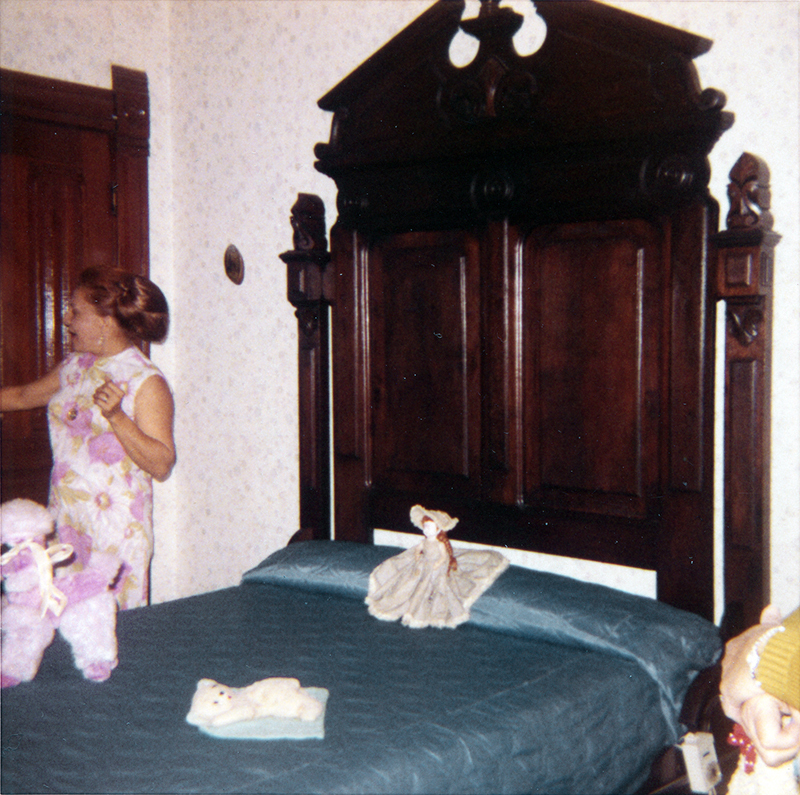 9600 dpi jpegs from 3x3-inch Kodak color print | Tiffs & original prints on file.